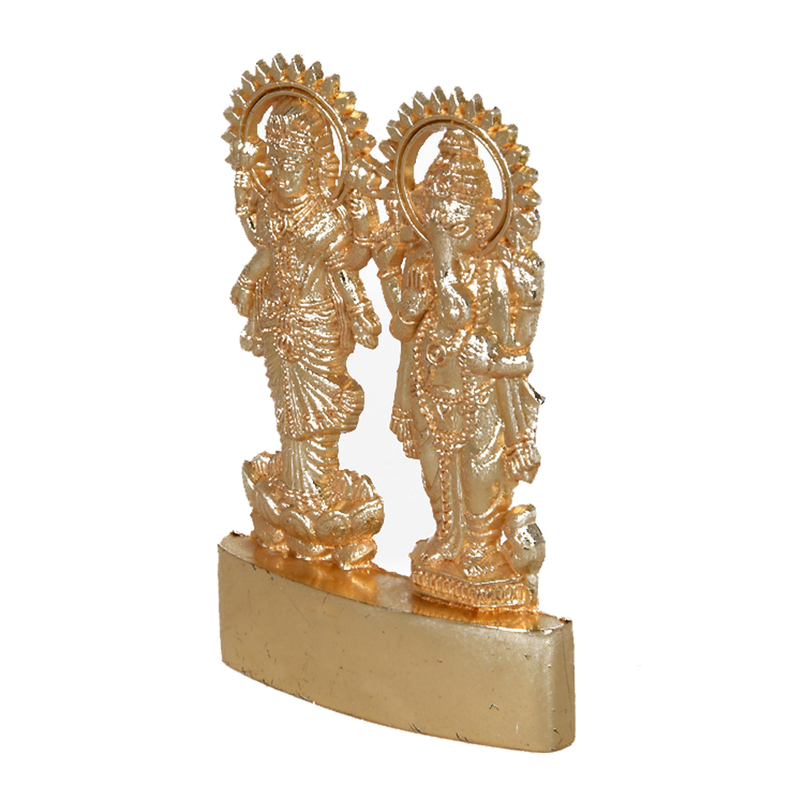 Get this amazing statue of Lakshmi-ganesh at the best price exclusively. This statue would go great with any kind background, and any setting. This statue stands out like a gem irrespective of where anyone places it. The finishing is the main reason why it is such an eye Read More..catcher. 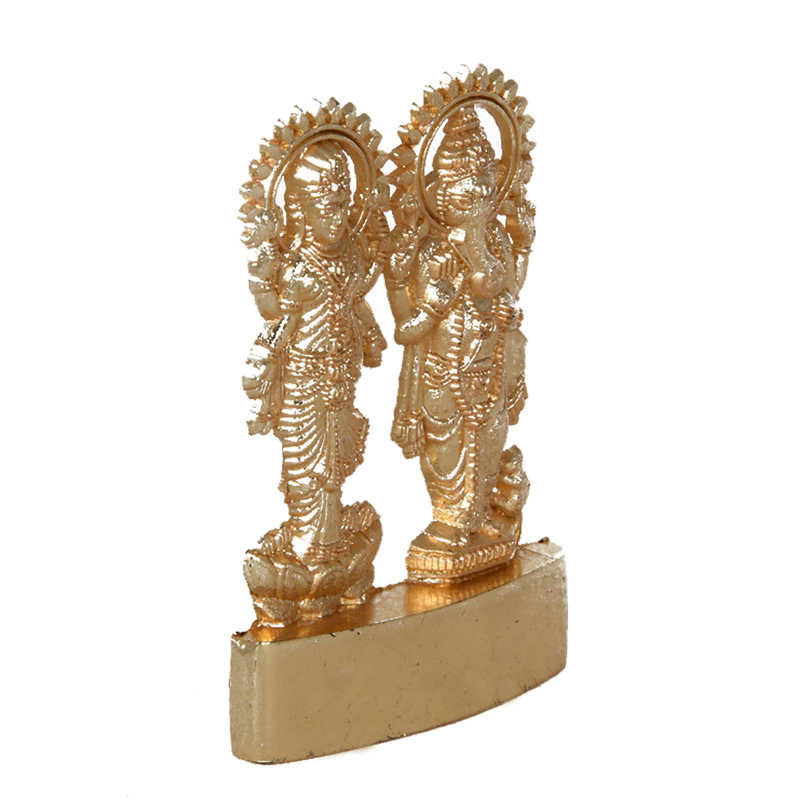 Both the idols are carved out brilliantly, and complement each other. 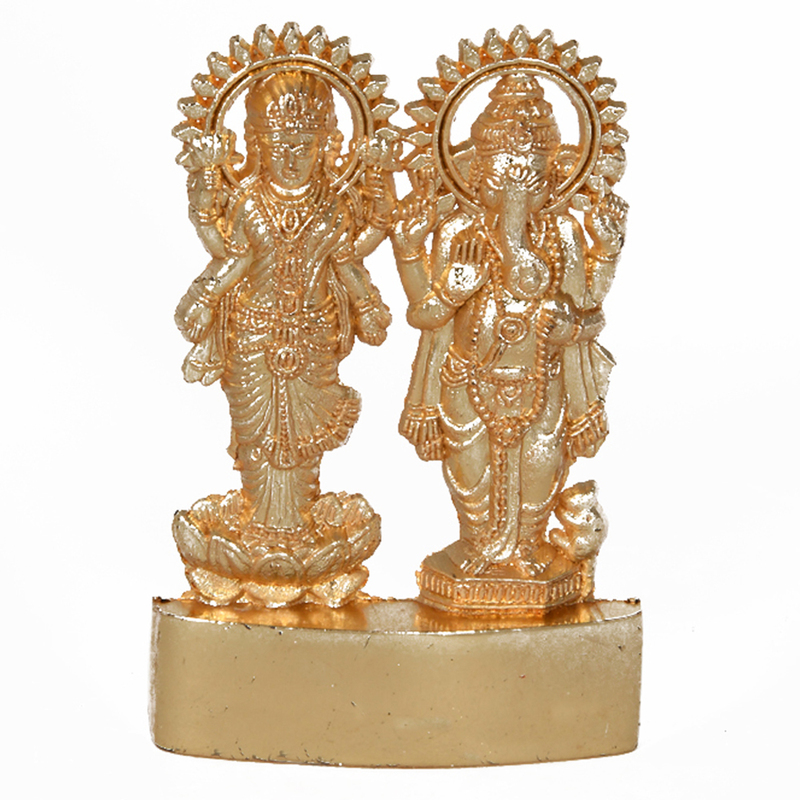 They share the same pedestal, which is kept just long enough to make space for both idols. It does not take up muck space even though it is a dual statue. The designing and finishing of the entire statue is so good, that the naked eye can catch every detail clearly. The golden colour of this statue makes it even more beautiful. Show Less..